A Chicago Bears supplemental draft move is an ultra-rare thing. For all you ’90s kids out there it’s like finding and catching Mewtwo in Pokemon. Since it became a thing back in the 1970s, the Bears have only used a pick in the supplemental draft once. That was in 2010 when taking fullback Harvey Unga. 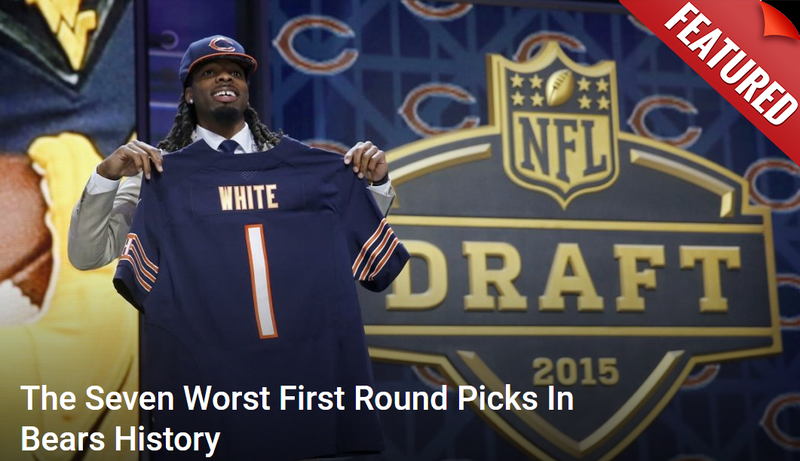 It was a seventh rounder, so they clearly didn’t expect much. Unga spent four years on the team and hardly ever played. Since then it’s been all quiet. Could this finally be the year they’ve awoken from their hibernation again? The general feeling is this 2018 class might be the best a supplemental draft has seen in a long time. Multiple players are in serious discussions about being picked. Some of them have certain qualities that could be of great benefit to the Bears, provided they’re willing to take the risk on the academic or off-the-field red flags each of them come with. With the draft approaching, here are the names that fans should keep a close eye on. Beal is the hot topic of the supplemental draft class. His primary issue is he ran into a problem with credit hours at Western Michigan. His choice was to either wait to sort it out, transfer elsewhere or declare for the supplemental draft. The talent isn’t in question. He’s 6’1 with good speed and plenty of tape to indicate he can match almost any receiver one-on-one. Guys like him are rare for this sort of situation, which is why he’ll likely be taken early. Some think he could go as high as the second round. Vic Fangio loves him some big corners. So it wouldn’t surprise if he might key on somebody like the 6’3 Alexander. The kid has athletic chops, loads of length and plays a tough, in-your-face style that fits what this Bears defense is all about. While not a turnover machine he did show he could make plays on the ball in coverage and also served an extra value as a blitzing cornerback with 4.5 sacks. The question is whether he’s matured enough to learn from his mistakes or if he’s a knucklehead that just has a natural inclination to never learn his lesson. Watching Brandon Bryant on tape, he might remind Bears fans of another Adrian Amos. He doesn’t make a done of big plays, but he’s got size, range and can arrive with some pop on ball carriers. His biggest issue, as referenced above is a question of discipline. The Bears aren’t hurting too much at safety but Bryant is an intriguing talent. They took a calculated risk on Amos back in 2015 with a fifth round pick and it’s paid off as he’s a solid starter. If he falls into the later rounds as expected, it might be worth taking a flier.